Thanksgiving is just around the corner and we would like to thank our readers and customers for using our products and services. 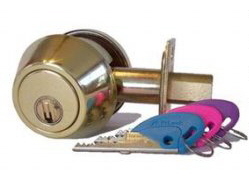 We have now received inventory of our fabulous Lockwood 7444 Keyed Pocket Door Lock. Supply is limited to the first 50 purchasers. We anticipate this product moving to retail (locations) very soon and will probably increase in cost (the US$ is not competitive at the moment). We are expecting a small supply of Serrature Meroni Combina and Nova Locksets at the beginning of December in the most sought for colors in North America, satin chrome/black. We will be closed for the Thanksgiving holiday from Thursday until Monday. we apologise for any inconvenience. 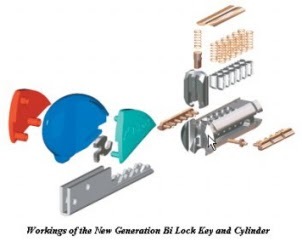 As you can see in the above diagram, Bilock's unique design and use of only bottom tumblers combined with dual-action sidebar technology and an extra interactive moving element that blocks the sidebars, is a radically improved design of the common pin tumbler mechanism, making it the first 100% guaranteed bump proof pin tumbler mechanism on the market. 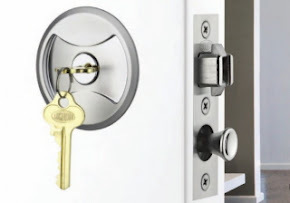 Bilock is only available from authorised dealers and that makes the duplication of keys very difficult significantly enhancing the key control aspect of your system. Combine this with it's bump proof feature and you have a fully controlled and pick resistant/bump proof tumbler mechanism. 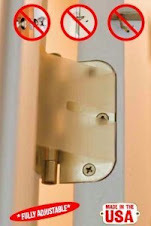 Master Lock Co. released their own patent pending bump resistance feature, a few years back, that they have been installing across their range of products. In the video after the jump, you can see an explanation of bumping and how the Master solution improves against the bumping technique. There are 2 colors available. Satin Pearl (formerly satin chrome) and Chrome Plate.